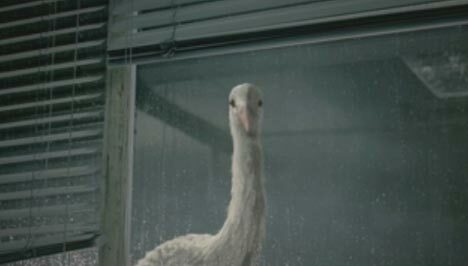 The Monster.com Stork ad was developed at BBDO New York by chief creative officer David Lubars, executive creative director Eric Silver, art director Gerard Caputo, copywriter Reuben Hower, senior agency producers Ed Zazzera and Anthony Curti, and executive music producer Loren Parkins. Filming was directed by Daniel Kleinman via Rattling Stick, London, with director of photography Ben Davis and producer Johnnie Frankel. Editorial work was done by editor Steve Gandolfi at Cut & Run with assistant editors John Marinis and Chris Mckay, post producers Susan Willis and Angela Hart. 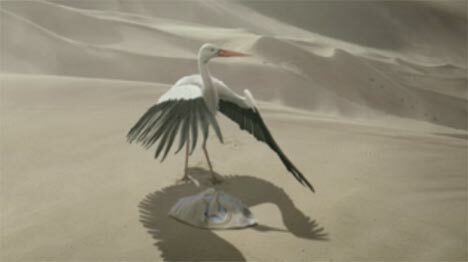 Visual effects were developed at Framestore, London, by VFX supervisor/lead compositor William Bartlett, VFX producer Helen Stanley, CG supervisor Dan Seddon, lead technical director David Mellor, lead animator Michael Mellor and senior animator Dale Newton, senior animator Nicklas Andersson, colorist Matt Turner. Music was composed at Human Worldwide, New York. Sound was designed by Gus Koven at Stimmung and mixed by Tom Jucarone at Sound Lounge, New York.